The chair leads the organization and the Administrative Board, creating, implementing, and overseeing initiatives based on the university's strategic direction. The chair represents the Cornell University Council as an ex officio member of the Board of Trustees Committee on Alumni Affairs and the Cornell Alumni Association. With the chair, the vice chairs comprise the leadership team of the council and its Administrative Board. Vice chairs create, implement and oversee initiatives for the Council based on the university's strategic direction. Elected and ex officio members from university administrators, trustees, faculty, Council members-at-large, alumni officers, and committee chairs. The board offers balanced representation and communication on all aspects of Council's work for the university. The chair, vice chairs, and elected members on the board are appointed by the Nominating Committee. The Administrative Board meets four times a year to discuss committee activities, university issues, faculty, development, and other items important to the Council and to Cornell. Officers and elected members on the board are your representatives. You should let a board member know about anything you think requires the board's attention. Council members are alumni, parents, and friends who have demonstrated leadership for Cornell. 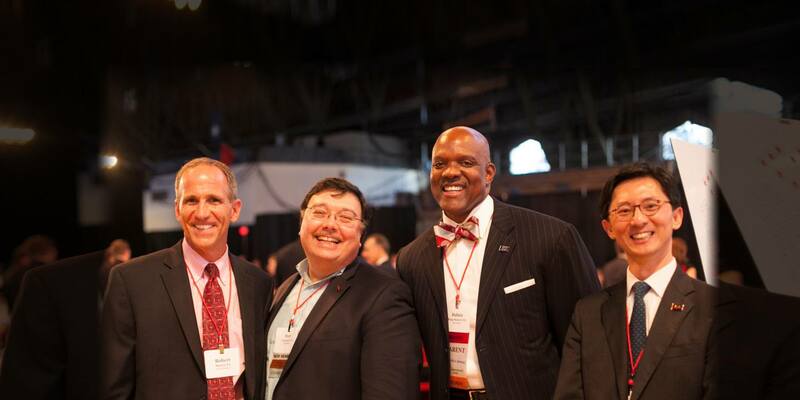 Successful nominees are involved in Cornell activities for 5 or more years; are leaders in professional life, and make significant contributions to society.